I'm not sure how, but I missed this excellent editorial in the New York Times on Monday. The Times editorial board seems to have fully grasped the horror and tragedy of mountaintop removal coal mining. Remarking on an upsetting recent court ruling that paves the way for the devastation of more mountains, ecosystems and communities in Appalachia, the ed board writes in "Appalachia's Agony:"
"The longstanding disgrace of mountaintop mining is now squarely in President Obama’s hands." The longstanding disgrace of mountaintop mining is now squarely in President Obama’s hands. A recent court decision has given the green light to as many as 90 mountaintop mining projects in Appalachia’s coal-rich hills, which in turn could destroy more than 200 miles of valleys and streams on top of the 1,200 miles that have already been obliterated. The right course for the administration is clear: stop the projects until the underlying regulations are revised so as to end the practice altogether. Mountaintop mining is just what the name suggests. Enormous machines — bulldozers and draglines — scrape away mountain ridges to expose the coal seams below. The coal is then trucked away, and the leftover rock and dirt are dumped into adjacent valleys and streams. Both John McCain and Barack Obama vowed to end the practice during the 2008 campaign — even though no recent administration, Democratic or Republican, has been willing to take on Robert Byrd, West Virginia’s senior senator, or the coal companies, which insist without proof that there is no other cost-effective way to dispose of the waste. There is a long and tortured legal history surrounding mountaintop mining, but the essential question is this: Is dumping mine waste into streams a violation of the federal Clean Water Act? On its face the answer is yes, but various regulatory maneuvers have allowed this practice to proceed. The worst of these was a 2002 rule by the Bush administration that in effect removed mining waste from the list of the law’s prohibited pollutants. The rule has made it easy for the Army Corps of Engineers to issue mining permits and hard for the courts to deny them. A bipartisan group of 119 members of the House recently reintroduced legislation that would redefine mining waste as a pollutant. In so doing, Congress would reassert the original intent of the Clean Water Act and end the practice of dumping waste in valleys and streams. Until that bill becomes law — if, indeed, it ever does — a great deal more damage could occur in Appalachia. Two companies that have been awaiting the court’s go-ahead have now said that they will resume mining operations. The Obama White House can prevent that damage. Under the law, the Corps of Engineers can suspend the mining permits in the public interest. This in turn would give the administration time to review the rules and issue new ones that would be more protective of the environment. But the Corps of Engineers, always reluctant to reverse itself and historically friendly to industry, will not act without orders from on high. Mr. Obama promised to find better ways of mining coal “than simply blowing the tops off mountains.” The time to do so is now. Bravo to the New York Times ed board. 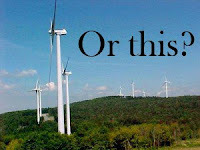 You can take action to urge President Obama to put an end to mountaintop removal here. 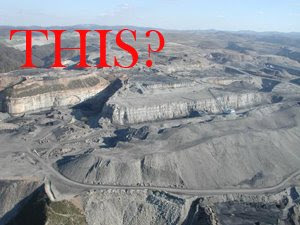 Congress also has the power to end mountaintop removal mining by passing the Clean Water Protection Act. Appalachian Voices and other coal-field advocacy groups brought hundreds of citizens to Washington D.C. to lobby for passage of passing the Clean Water Protection Act this week. You can add your voice to theirs here. President Barack Obama’s top aides will be making a decision “very soon” about what they will do about mountaintop removal, according to congressional testimony today from Nancy Sutley, chairwoman of the White House Council on Environmental Quality. Sutley told lawmakers her staff have been meeting with EPA, the Corps of Engineers, the Department of Justice and the Office of Surface Mining, discussing the issue, reviewing the February decision by the 4th U.S. Circuit Court of Appeals, and examining a flood of pending permits at the corps office in Huntington. “We’re trying to get a handle on what’s out there and what we may be able to do about it,” Sutley told the House Appropriations Committee’s Subcommittee on Interior, Environment and Related Agencies.